Maui, who’s on his own journey of self-discovery, reluctantly guides Moana in her quest to become a master wayfinder and save her people. Together, they sail across the open ocean on an action-packed voyage, encountering enormous monsters and impossible odds, and along the way, Moana discovers the one thing she’s always sought: her own identity. Filmmakers cast newcomer Auli‘i Cravalho as the voice of Moana, and Dwayne Johnson lends his voice to demigod Maui. 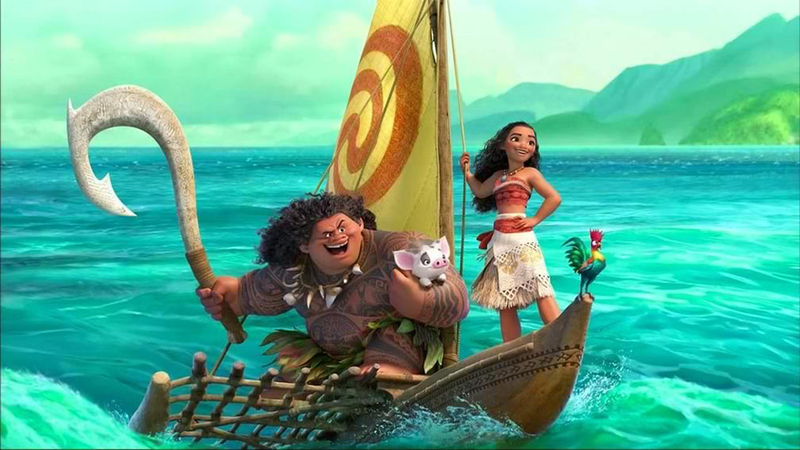 The voice cast also includes Jemaine Clement as Tamatoa, a self-absorbed, 50-foot crab ; Rachel House as Moana’s trusted Gramma Tala; Temuera Morrison as Moana’s no-nonsense father, Chief Tui; Alan Tudyk as the voice of dumb rooster Heihei; and Nicole Scherzinger voices Moana’s playful and strong-willed mother, Sina. Helmed by Clements and Musker, the directing team behind “The Little Mermaid,” “Aladdin” “The Princess & the Frog,” and produced by Shurer (“Lifted,” “One Man Band”), “Moana” features music from a diverse and dynamic team that includes Tony®-winner Lin-Manuel Miranda (Broadway’s Pulitzer Prize-winning and multiple Tony-winning “Hamilton”), Grammy®-winning composer Mark Mancina (“Tarzan” “The Lion King”) and Opetaia Foaʻi (founder and lead singer of the world music award-winning band Te Vaka). Walt Disney Animation Studios’ 56th animated feature “Moana” sails into Philippine theaters on Nov. 30, 2016.